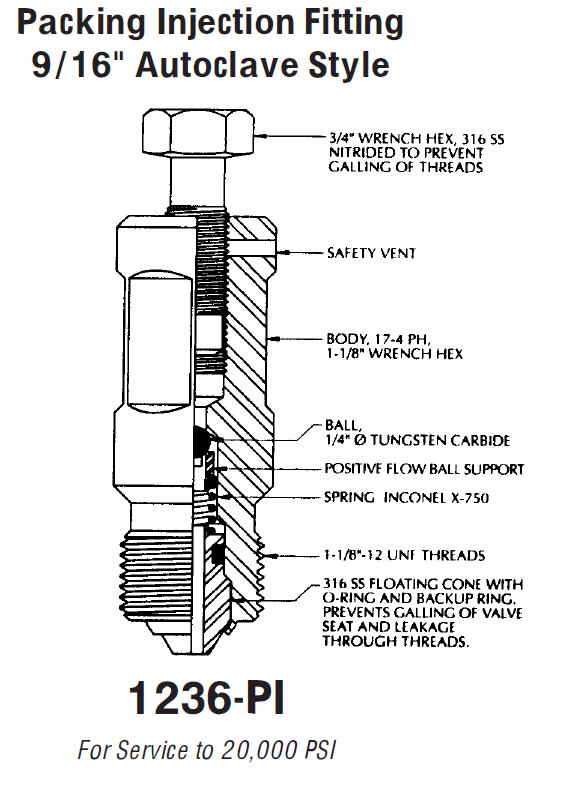 Climax manufactures high quality fittings for packing injection. Climax Packing Injection Fittings are available with free flow or senior orifice options, along with a Pressure Relief Tool. 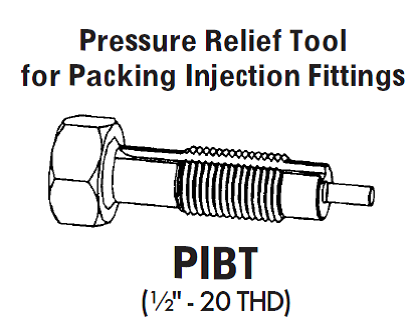 The patented free flow design of the body grease fitting has been incorporated into our Packing Injection Fittings. Compared to standard floating ball designs, the Free Flow's specially designed spring retainer allows even the heaviest of lubricants and/or sealant to flow freely through the Packing Injection Fitting.